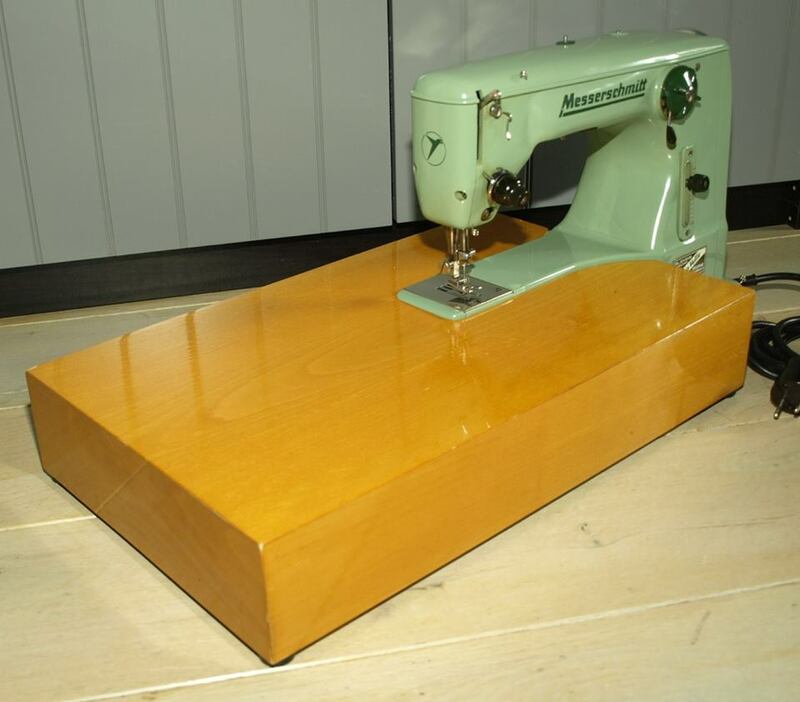 Niels de Gooijer is a frequent figure in the online vintage sewing machine (VSM) community. 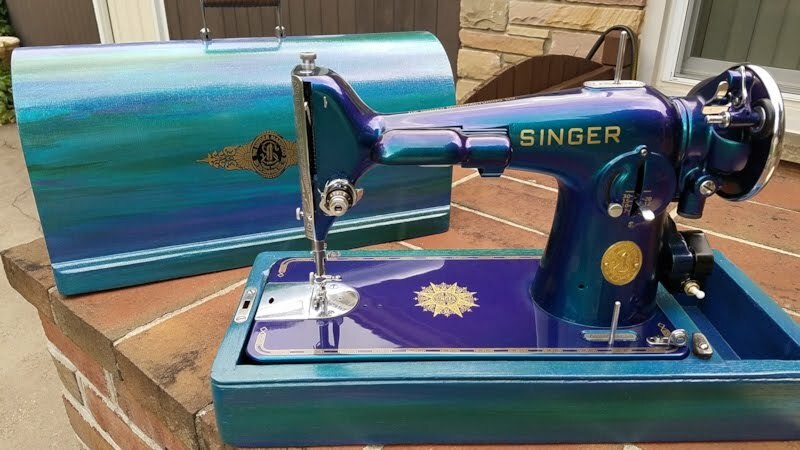 Photos of his refurbished sewing machines – vintage, antique, and toy models – are a familiar pleasure, always immaculate and sometimes rather exotic to the American market. Niels and his wife Joyce live in the southern region of the Netherlands, in the city of Helmond, where they have shared a passion for VSMs for many years. Joyce with her favorite Featherweight. Once it had arrived it did absolutely nothing. No movement of the hand wheel and needlebar, bad wiring, timing was off. At least the case was intact. So we had ourselves a little project. It took me and my wife three evenings to rewire, re-time, clean, oil and grease the lovely little Featherweight. 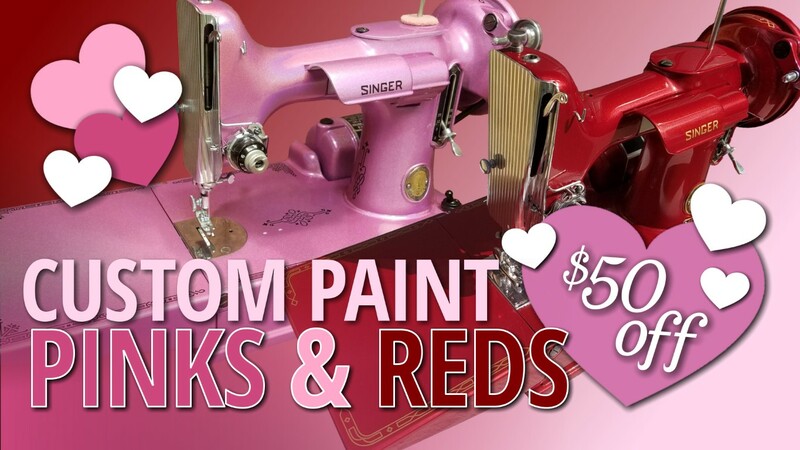 Through Valentine's Day 2019 - Save $50 on pink or red paint jobs. Details. Niels was hooked (pardon the pun) from the moment he and Joyce succeeded in getting their first vintage machine to make a perfect stitch. Joyce's training as an electrician had helped them resurrect that first Featherweight; and being a teacher with expertise in mathematics and physics, Niels's skill with vintage machines accelerated quickly. His and Joyce's hobby evolved into a business, while she is now a nurse and he continues teaching math and science to students aged twelve to seventeen. As a teacher, Niels has managed at least once to share the virtues of vintage machines with his students. I love to see how those kids develop throughout the years they spend at school. I am glad I can participate in their future. I even have brought some VSMs with me to school. 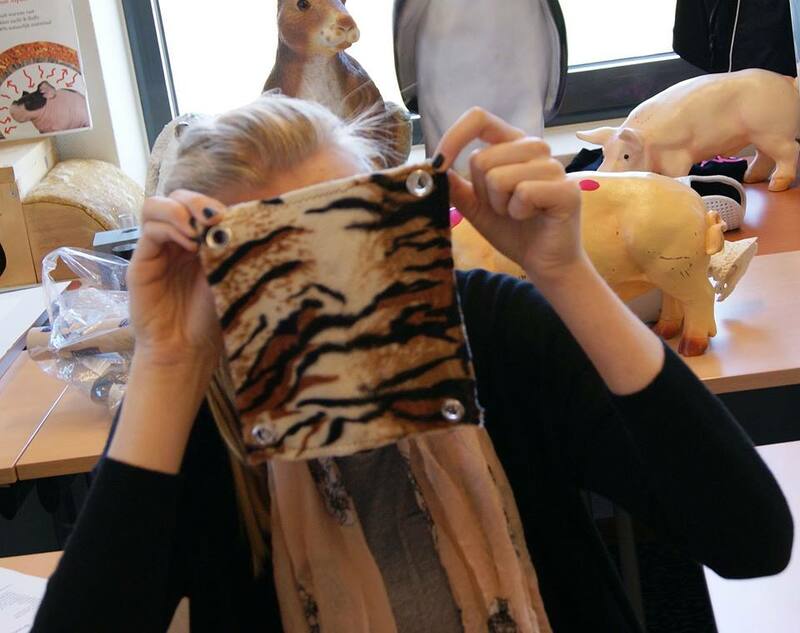 A group of students wanted to make some special hammocks for guinea pigs. So I took four VSMs in with me. The students first looked at me if I was nuts, but after they had worked with the VSMs and made some hammocks they were pleasantly surprised. A hammock for guinea pigs, sewn on a vintage machine by Niels's student. 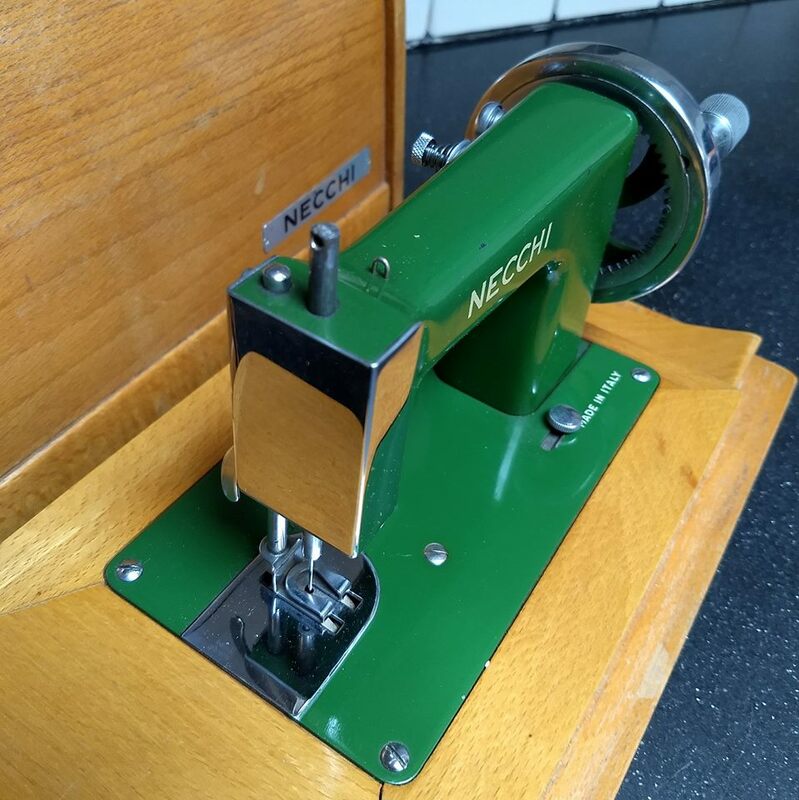 With abundant family to keep them busy (five children – 8, 15, 16, 18, and 21), Niels and Joyce still manage to spend part of their evenings and weekends collecting, refurbishing, servicing, and selling classic sewing machines. Their garage is their workspace, which is where the couple spends significant time together. 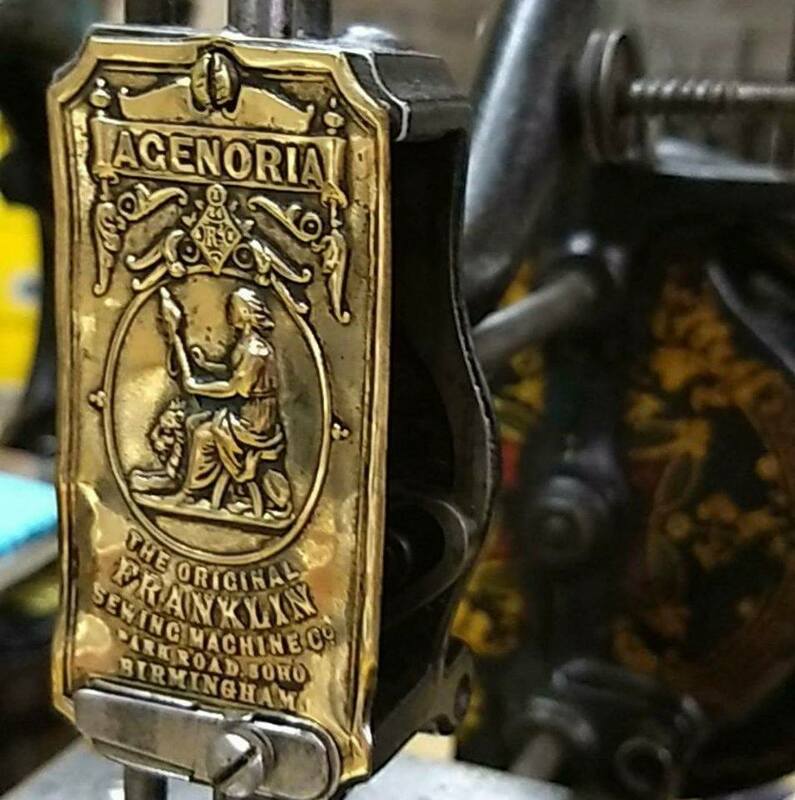 Our main goal is to save as many vintage and antique sewing machines as we possibly can. If someone is looking for parts – feet, bobbins, foot pedals, etc. – we always try to help them out. Each day we spend time to find those lovely sewing machines and parts, and try to save as many as possible. That is what drives us. 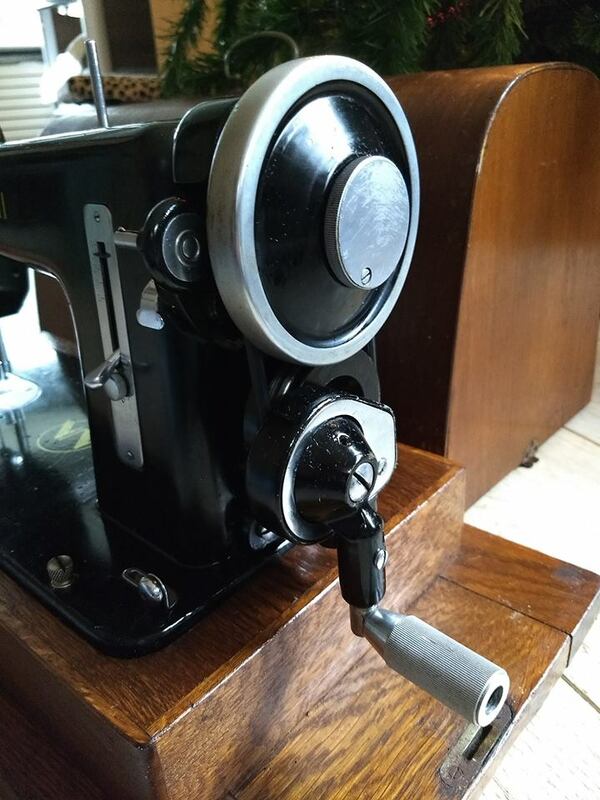 It gives us great pleasure to find new homes for the sewing machines we have restored. A home where they will be loved again. 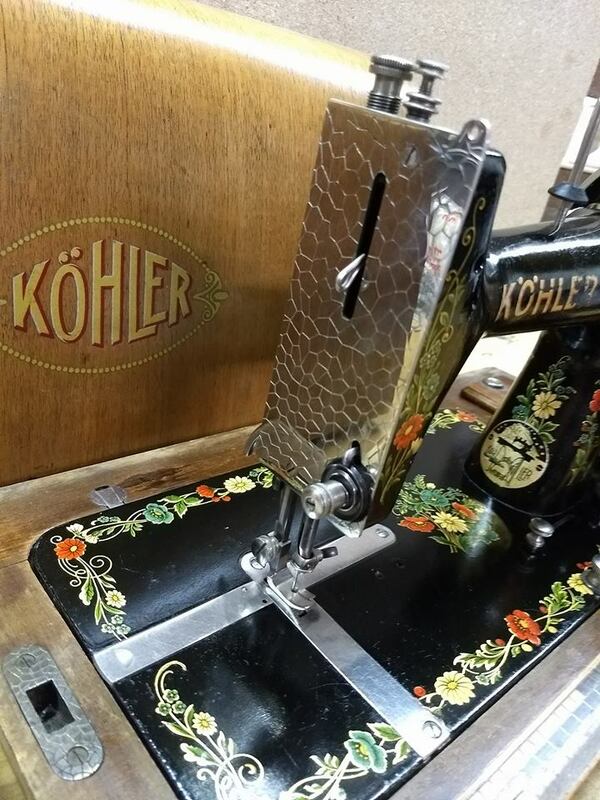 While Niels enjoys an aesthetic view of vintage machine design (admiring the elegant flowery decals on a restored German Kohler TS, for example, or the elaborately engraved face plate of an Agenoria lockstitch machine), his scientific mind is otherwise drawn to the mechanical marvels of a bygone era in manufacturing. Niels tells us his time with these decades-old beauties is far more meaningful than just the business of service, restoration, and sales. 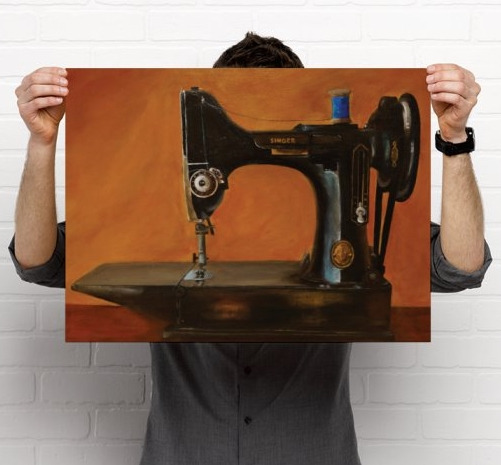 Time with sewing machines has become beneficial to his well-being. When I have the chance to work on them, there is a sense of rest coming over me. I can forget about all other things in the world. I love being around them. 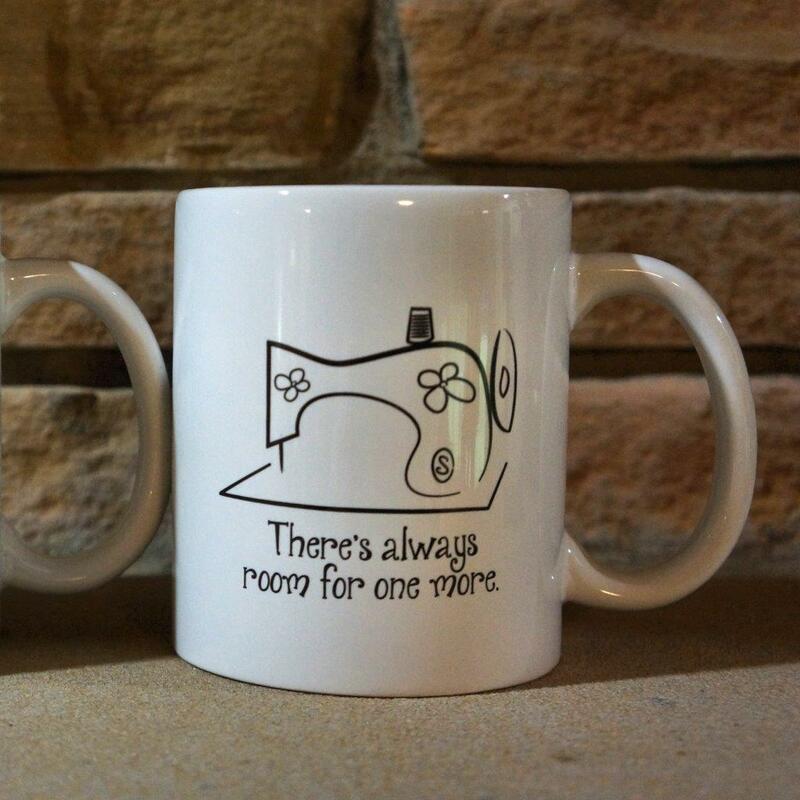 I personally love the great engineering behind these wonderful sewing machines, and above all their attachments. 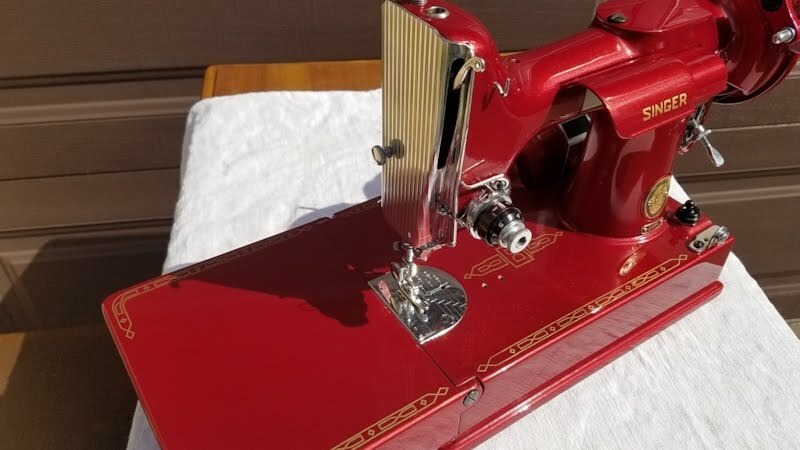 He was immensely impressed by the performance of a 1920s Singer two-thread embroidery attachment he acquired, telling us, “When I tested it, I had to look twice to believe what it actually did.” He sold the sought-after rarity for well over $700. 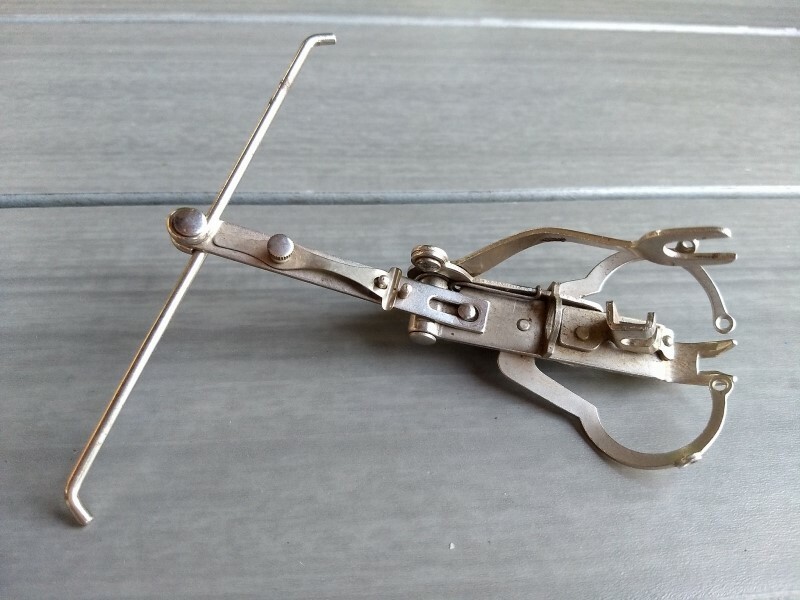 1920s Singer two-thread embroidery attachment. Watch Niels's video of this attachment in action. Beyond his desire to acquire uncommon gems like that particularly scarce two-thread attachment, Niels enjoys discovering completely unexpected treasures. “I love all things that are not standard,” he explains when displaying a rare Necchi BF with a hand crank. 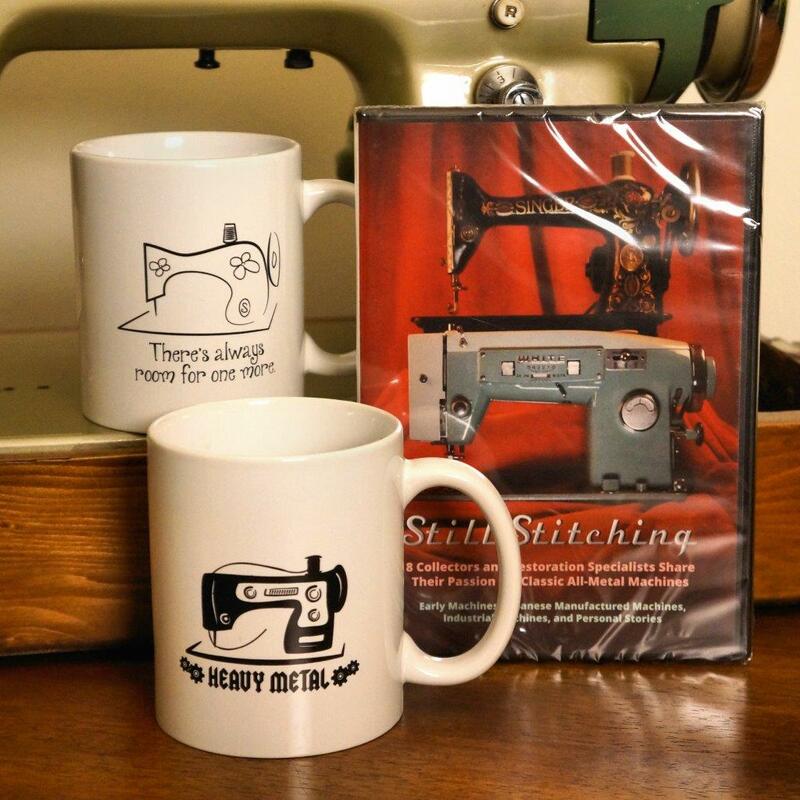 I am always on the hunt for something new I haven't seen in the VSM world – a rare sewing machine or attachment... I am always on the hunt for something special. A relatively rare hand-crank Necchi BF. Regarding the “VSM world” that Niels mentions, we asked him to describe the sphere of VSM users and collectors in his corner of Europe. There is a revival for the re-use of fabric and other materials. 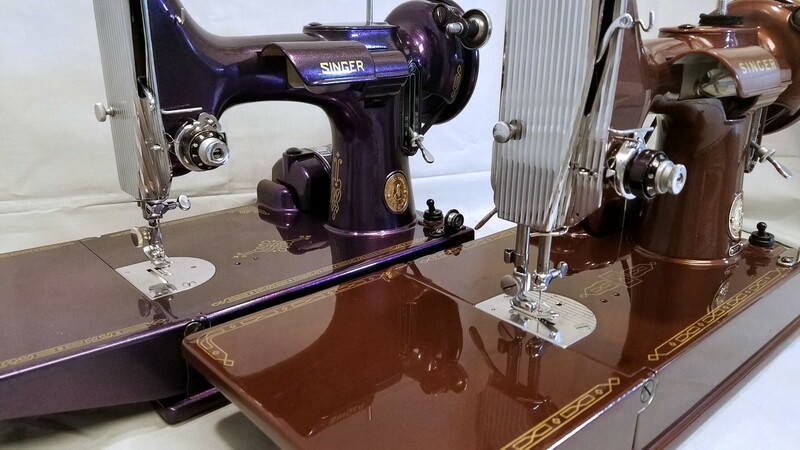 More people are returning to the vintage machines that their mother or grandmother used simply because they are better-built and last a lifetime. 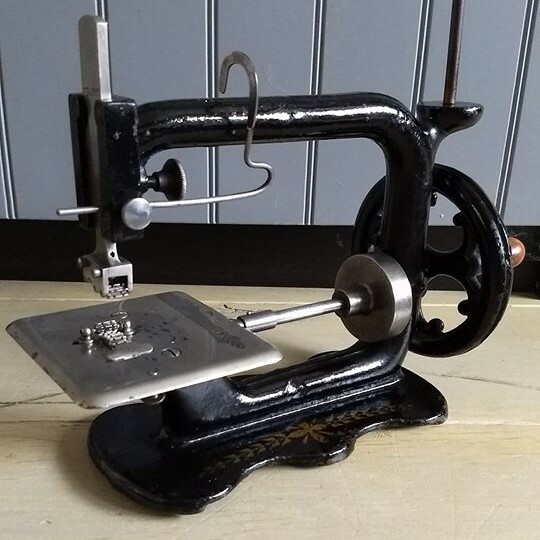 I guess most collectors here in the Netherlands collect antique sewing machines [about 100 years old and more] or toy sewing machines. 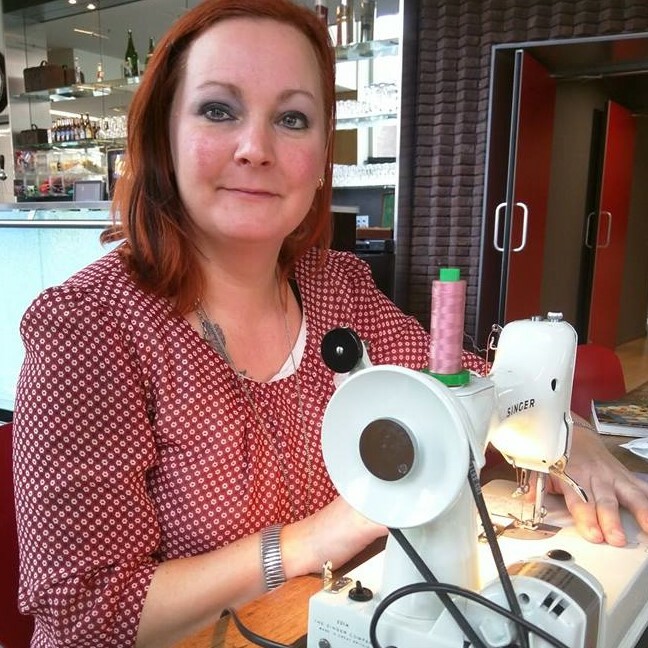 But most customers of mine here in the Netherlands are people who like to make quilts, clothes and bags with VSMs simply because they are up to the job. With so many impressive machines passing through Niels's and Joyce's workshop at a regular pace, we expected them to have a vast private collection. 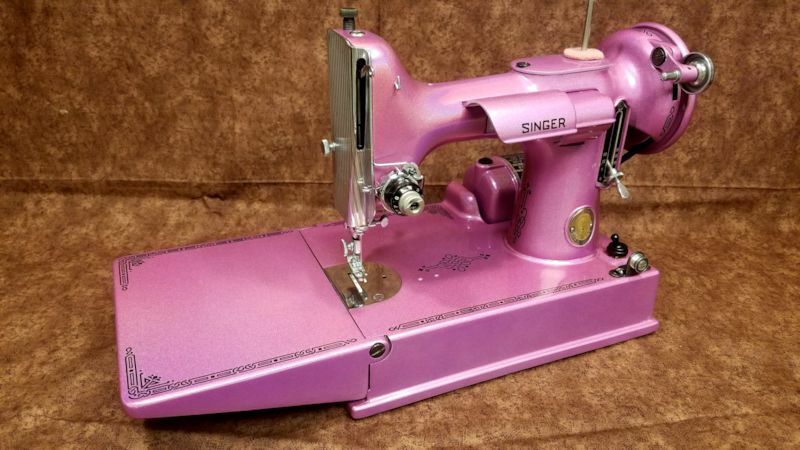 Niels explains that he has many “favorite sewing machines,” but a lean personal collection of only four: a Singer Featherweight 222K, a celery Singer 221K, a Singer Featherweight Centennial and an Essex MK-1 toy sewing machine. I guess I have a small collection because I do not want to be selfish and keep them all to myself. I would not have any space left for my shop either. 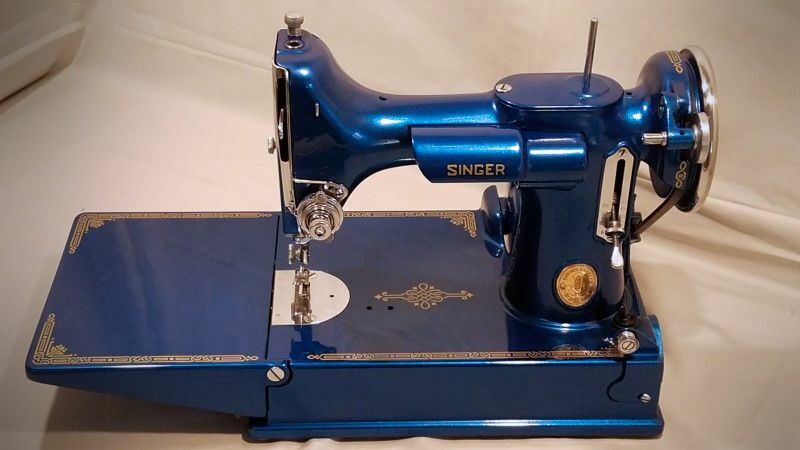 Some of my favorites are the Agenoria, the Wilcox and Gibbs chainstitch sewing machine, a Singer 201-2 with potted motor, a Wertheim Superba fiddlebase, the Pfaff 30, the Jones Serpentine – each in their own unique way. 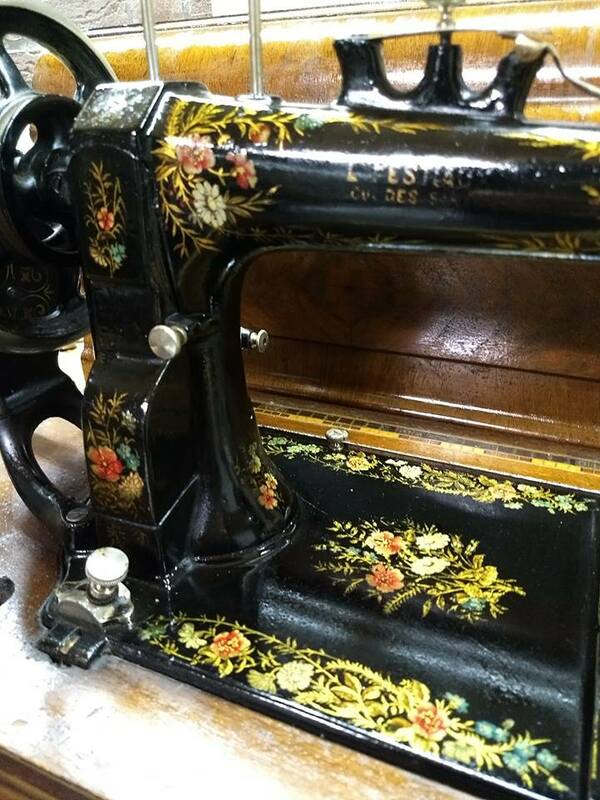 The antique sewing machines that I like are because of the lovely shapes they have and the beautiful hand-painted designs. They are still going strong after more than a century! I hope I will, too! Wertheim Superba, 1876. 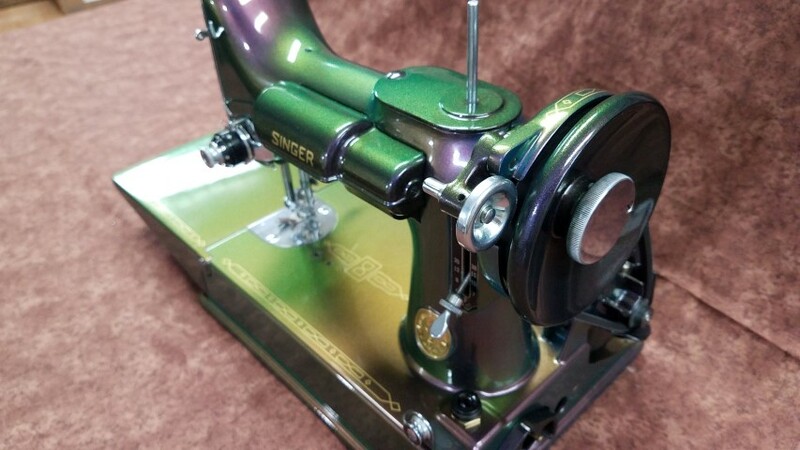 German hand-crank model with Mother Of Pearl accents. I would advise not to buy every piece you can. 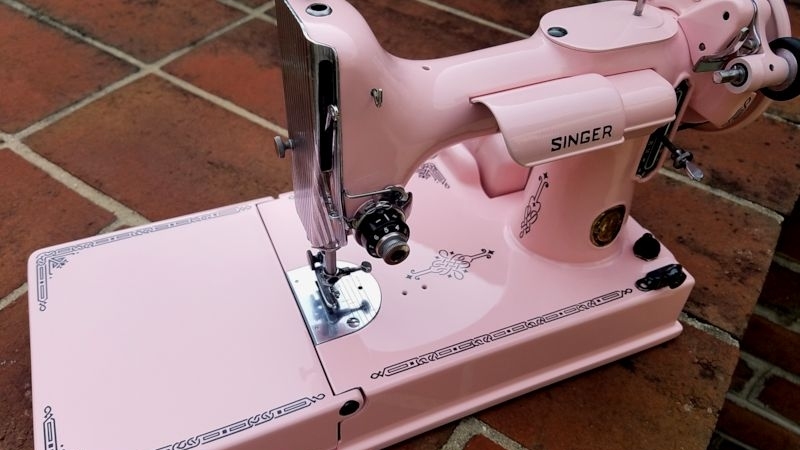 What gives me most satisfaction is when I can buy a sewing machine that gives me a special feeling in my stomach, complete with case and accessories in very good condition at a fair price. Sometimes you will have to wait a bit longer, but it will be worth the while. 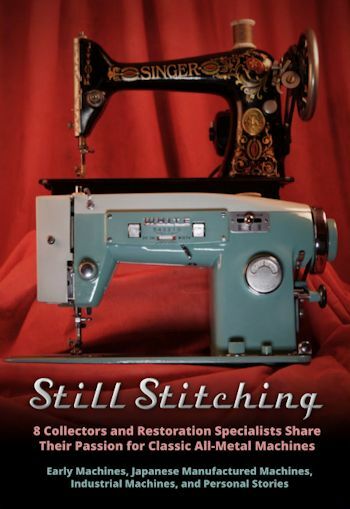 Try to figure out where your real interest lies in collecting sewing machines. 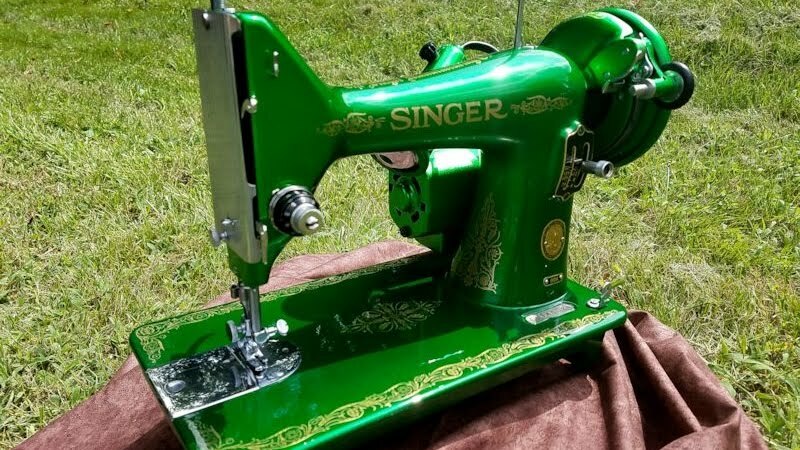 Is it the antique sewing machines, vintage sewing machines, toy sewing machines, industrial sewing machines? 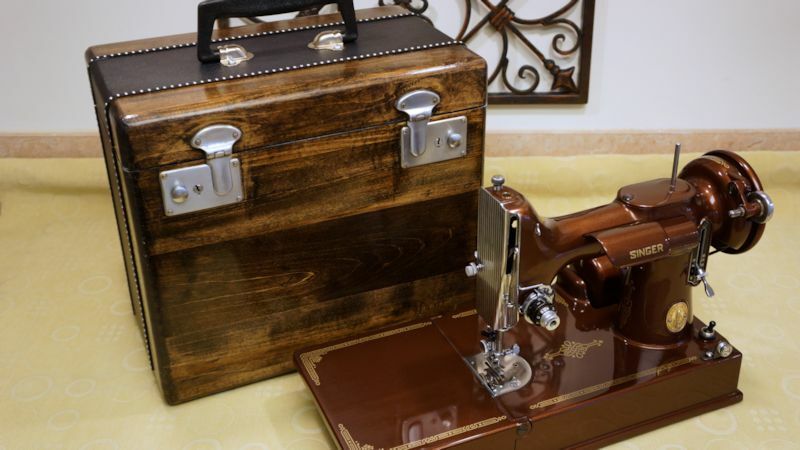 Or would it be sewing machines from a certain era? 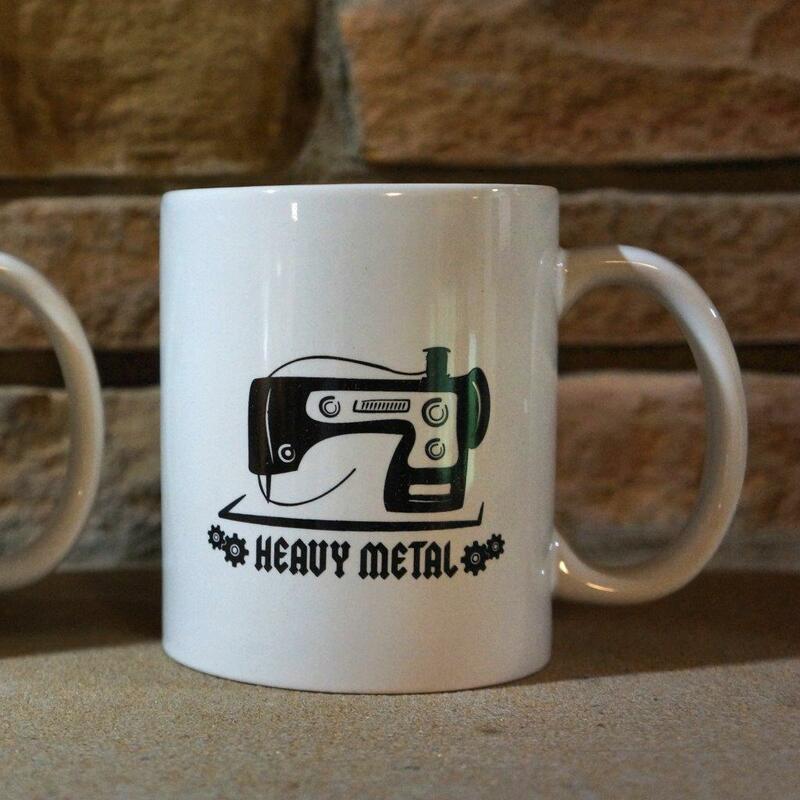 Or hand crank only, or electrical? What kind of machine makes your heart beat faster? This Necchi toy machine is designed to look like a Supernova. L. Pestiaux, a "French" model actually made by the German Durkopp company. 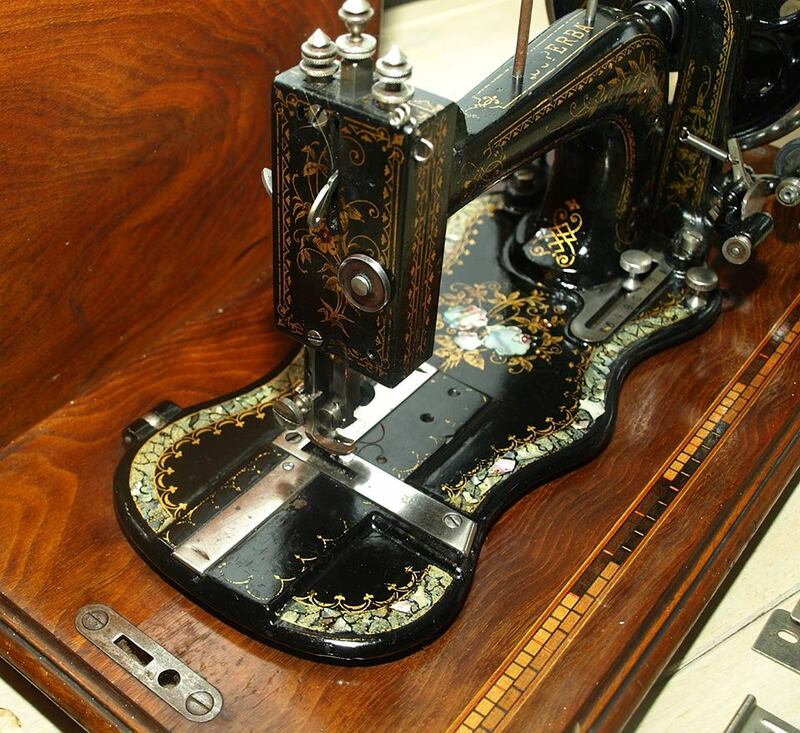 Heberling running stitch machine. It uses oddly shaped needles that Niels tells us are more scarce than "hens' teeth." You can reach Niels de Gooijer on his page Naaimachines Vintage & Antique. You can read more profiles on collectors and VSM professionals in our series. What a lovely story. I often see his machines for sale, but now I feel that if I were to purchase one from him, I already know him. And with that kind of passion driving his restorations, I also know I would be getting a quality product at a fair price. Whoever thought to do this story... bravo! Great article. I always enjoy seeing the machines Niels shows on VSM groups. Wonderful article! Niels has helped me find parts for a couple of my machines and he is very knowledgeable and great to work with. I live in Washington state and it's amazing to think a love of VSM's brought two people together from across the globe! Niels has sent a number of wonderful vsm to me. All have arrived in impeccable shape. He's been generous with his knowledge and time. Truly helpful with any questions I've ever had. Great article about someone so passionate about what he does and does so well! 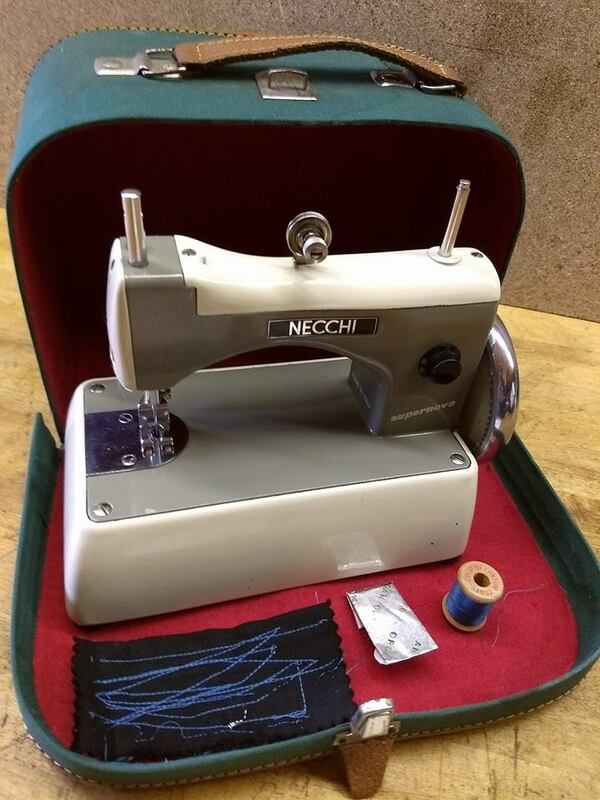 Niels was one of my initial members on my Facebook group - Vintage Toy & Mini Sewing Machines. He is the one person I have bought and sold to that is beyond reproach. 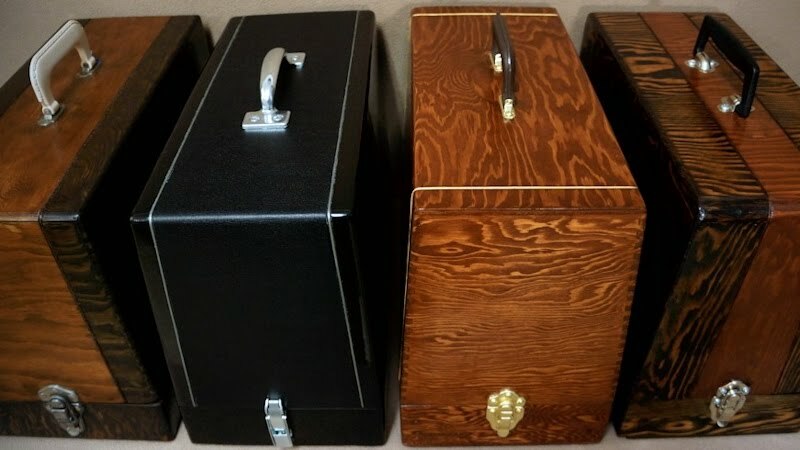 His packing is impeccable and restorations beautifully done. He must have access to countless toys in Europe and I have been jealous of his finds over the years. I'm pleased to be able to say I found a friend in him! I have bought from Niels and as already said, his items are a fair price and packed well. 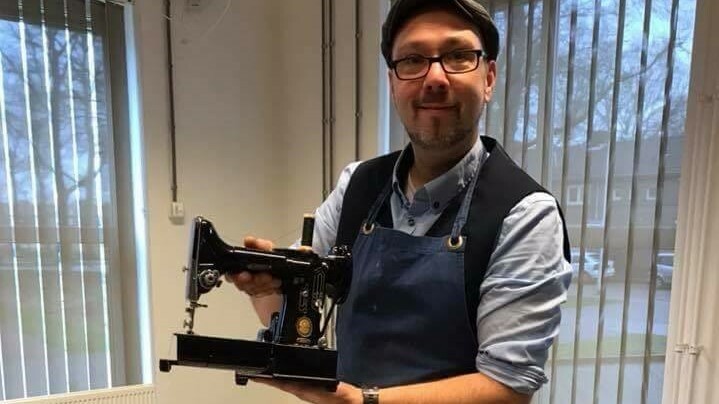 He is also a member of my Facebook group Vintage Childs sewing machines (Any Make) where he has helped members out with various things.